This was the first online business model that I established way back in 2004 and I have made money continuously with it ever since! There is something very exciting about handling vintage and antique books – I love the feel and the smell of the paper but the very best thing about selling vintage book prints is the huge mark up! As you can see the total outlay for the book was £6.78 (equal to $8.92 at the time of writing) this included shipping to my address. I have been selling the prints from this particular book since July 2014 and I have sold 435 individual prints from this one title (I snap it up whenever I find a copy listed on ebay!) so I have a very accurate idea of what each copy of the book is worth to me. Each copy contains 65 full page, blank on reverse cartoons printed on good quality, heavy grade paper that are extremely popular on Etsy. I make around $400 profit (that is after all selling costs) from every copy of the book I buy! Win My Vintage Book – Value $400! Instead of selling the pages and pocketing the profits like I usually do I thought I’d give you the opportunity to win this copy and pocket the profits for yourself! Keep reading to find out how you can get your hands on this valuable book and add hundreds of dollars to your bank account just like Monique did! 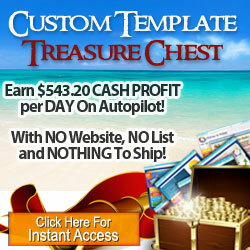 Learn How You Too Can Turn a $400 Profit From a $8.92 Investment! In addition to my vintage book giveaway I am also running a MASSIVE SALE on my flagship course Prints Make Profits which teaches all of the top secret techniques I use to find hot selling book print niches like the one mentioned above AND a MASSIVE SALE on my Etsy Confidential series of TRIED & TESTED ebay and Etsy book print niches! The course that started it all way back in 2008 – reviewed and updated in the last 12 months and now in its 5th edition! My flagship course reveals how I have been quietly making thousands of dollars profit every year since 2004 simply by buying old books, removing the pages and listing them on ebay and Etsy. 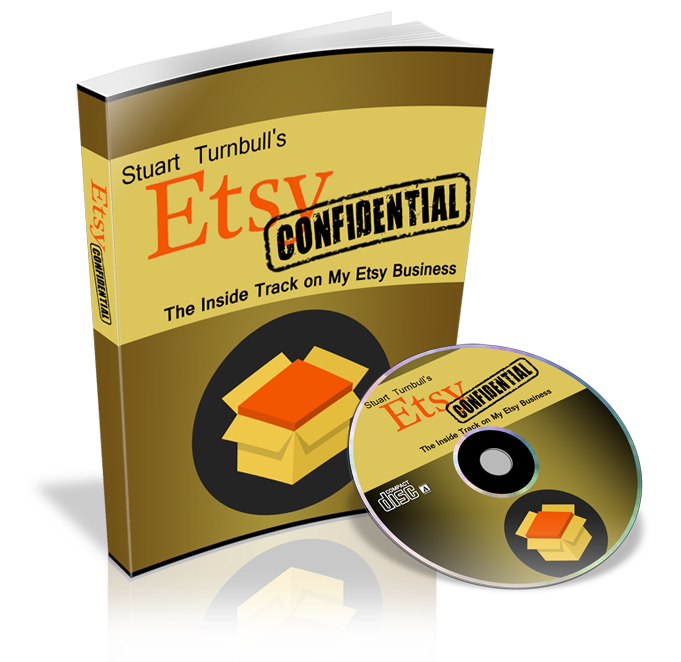 Etsy Confidential is a series of ebook and ‘watch over my shoulder’ video tutorial guides that will give you the inside track on my Etsy book print business. Each guide features a new and highly lucrative vintage print niche that I have never discussed before. There are 3 Etsy Confidential courses each covering a different and highly sought after ebay and Etsy book print niche and all of the information is based on my own personal Etsy sales experience. 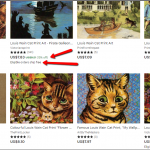 Kliban Cats – a very low competition niche with average sale prices of $10.37 per print – I show you where I get these for 13 cents per print! Click on the image above to go to the offer page for this course – don’t forget to include the coupon code HALFOFFSPECIAL at checkout for your huge discount! Babar The Elephant – a very low competition niche with average sale prices of $15.66 per print – you can find these for 8 cents per print! Lesley Anne Ivory Cats – a very low competition niche with average sale prices of $12.91 per print – these are easily obtained for 16 cents per print! To get HALF OFF any or all of these courses use the coupon code HALFOFFSPECIAL at checkout. How To Win My Vintage Book – Value $400! Everyone who buys one or more of the courses featured or leaves a comment on this post will be entered into a draw to win my copy of Kliban’s “Catcalendar Cats – The Complete Collection” (shipped at my expense to their home address). The prints in my book are in very good condition so all you have to do to release its $400 potential value is remove the cartoon prints and ship them off to your buyers (no matting required) as shown in Part One of Etsy Confidential! The lucky winner will be announced on Friday the 19th April 2019. Betty Bray is the lucky winner of my copy of Kliban’s “Catcalendar Cats”! 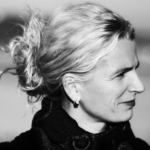 – Congratulations to Betty and a heartfelt “Thank You” to everyone who took part. Thank you to both you & Bart, for helping to make so many lives better! 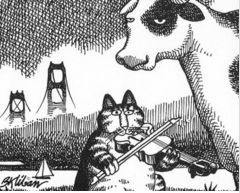 Thank you for the opportunity to win the Kliban’s CatCalendar Cats. I have many of your other products and am looking forward to going the Etsy Confidential for this same subject. I like that you are offering this series in delving deeper into specific niches. I look forward to learning . I have purchased several of Stuart’s courses. Always awesome stuff! I’ve loved all of your courses:) Well written and easy to understand. Perfect easy side business. I’m back at Prints Make Profit after a few years absence. I have to say I’m glad to be back. I don’t really know why I left in the first place. I’m ready to go again. Thanks Stuart for a brilliant product. I will improve and make more of an effort. Just bought your program, it’s amazing, great videos and book. I kept putting off buying it but I am so glad that I finally have! Your programs rock! At the moment I’m in the process of trying to master starts vintage propit course which is full of useful information. This course again I will buy as its another income stream which is in itself another string in your bow…. I have prints make profit, and does just that when used as instructed. Stuart is the real deal. Hi Stuart, Thanks for all your help. I’ve been following you for years and everything you provide is top notch. Thanks again. I always learn so much from your books & blog. Ones day I will surely be able to have the time to implement what I have learned from you. Thank you for the opportunity to win a copy of this book! Did not win last year but this could be my lucky year! Have most of the courses and they are very well done. This business is something that my mom and I could do together to help both our incomes, and we both love cats. Great courses. I learn from your sales pages and blog posts too. I’d love to be entered into the contest. Thanks. I have not bought a Kliban Cats book yet (usually they get snapped up before I can buy them). I will be setting up my Etsy shop soon, and have some prints from other genres that I am happy I found, and they will be going up soon. I have your original Prints make Profits book, which was based purely on eBay sales at the time. Do you still recommend double-matting the prints when you sell on eBay, and is it the same on Etsy, or do you sell them without matting now? Thanks for your questions, Stuart! I no longer sell on ebay having found that Etsy is a superior marketplace in every respect when it comes to vintage book prints. As far as matting is concerned, currently I am selling all of my prints un-matted (I have a lot of different business models on the go so need to manage my time carefully) that said, matting is a great way to add value to your prints – a full step by step guide to matting is included in the Prints Make Profits course. Hi everyone just want to let you know that if you buy any of Stuart’s course’s and implement what he teaches in his course’s or free training you can’t lose. In the past 5 day’s after implementing Stuart’s latest free training I have seen my visitors rise dramatically and made £50 so far on a book that I purchased for 1 penny plus £1.80 p&p. I bought Stuart’s prints make profits a few years ago and by following what he said I was able to purchase a set of book plates for £12 and sell them for £177 . 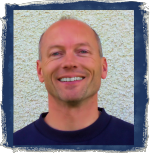 Stuart has a lot of knowledge that can help you, I suggest you just buy his course’s and follow what he teaches you really can’t go wrong or find an easier business plan to follow and when he updates the course you don’t have to pay any extra. I have several of your courses. They are all very easy to understand and implement. I would love to win the book, I am working with printables now but would love to utilize the book to make some more sales. Love all of your courses! I believe I have them all. When you do an update to a course do we need to purchase again or do we get the update. Just realised when reading that you’ve done updates since I first purchased. Love your work! Thanks!! ? I always offer free updates on my courses but not everybody signs up to the updates list when they buy. Drop me a line if you think you’ve missed any. 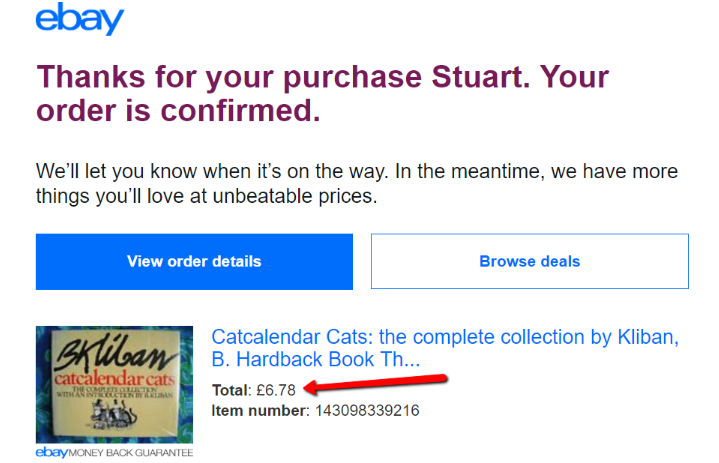 Best value on the web.I have everything Stuart offers.Thanks Stuart. Always a fan of your top notch products for extra income stream. Would love to win the book for actual application of the course. Thanks Stuart for all the Great Content! I have purchased many of your courses and I’m excited about everyone of them! Always looking forward to new ideas. Thanks for all your hard work that you put into each course that you offer. Stuart, Thank you for all you do. I have many of your courses and each is fantastic! I’d love to win the book. I would love to win this book! Thanks for putting out good stuff Stuart! Keep up the great work! Love love love your work Stuart followed you for ages. Bought few courses, sold a few prints. Never took serious enough but it should be a good sideline for my wife. Hoping you and the family are all doing well 🙂 will catch up with you on skype one of these days. 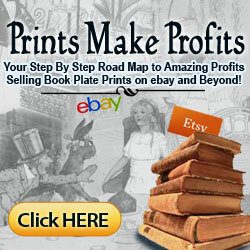 I have your “Prints Make Profits” and would love to have a copy of the vintage book. Thanks for all the great tips you give us. It never ceases to amaze me how you’re able to turn a book around that you buy at a low price into a real cash machine, thanks for continuing to inspire us! My namesake is the man to follow. I read every email that Stuart sends out and spend hours walking around car boot sales looking for old books. It would be easier to search for old books on the net but I enjoy the hunt at car boot sales. I look for local history books as well and sell them at a profit to people that I know at the car boot sales at a later date. Whenever you come out with something new I buy it. I learn something new each time. I love, love, love Stuart. I have been following him for a while now and bought several of his courses. They are all top notch. I have been opened to a whole new area that I didn’t even know that existed. The best part is that it doesn’t cost much to get started and even newbies can make money. Keep up the good work. I am always excited to see what Stuart is up to next. I have several of your other courses, and they are all wonderful. This package looks like another one I need to invest in. I bought the Prints Make Profit a while back. I have been collecting prints but haven’ t started selling them yet. The Lesley Anne Cats are beautiful! I am purchased all of your products when they all first came out. I have enjoyed them all and have learned a great deal from them all. I bought this package when it first came out. Do I have to buy this one to be upgraded to this information? All buyers get free updates so just drop me a line at; stuart@stuart-turnbull.com and I’ll get you sorted out. Thank you. I have sent the message to you. How do I get the Etsy Confidential. I have the anatomy of Etsy. 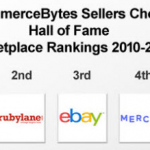 Would love to get Etsy Confidential to see those 3 niches. Oh, yeah, just got one of the CatCalendar Cats books from eBay for $14. Now to figure out how to list it. Just follow the links in the post for each of the Etsy Confidential offer pages. I love this niche! And I truly enjoy watching you and your students have success with it. I’m going to dust off my digital copy of Prints Make Profits and finally start doing it once school is out this year. Could always use another income stream! I purchased Prints for Profit when it was first released and I have never regretted it. 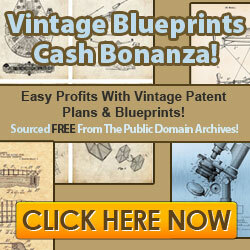 I love the old prints and find this a very fun and rewarding business. This looks like a very interesting sideline business, and I shall look into it more closely. Thanks for calling it to my attention.